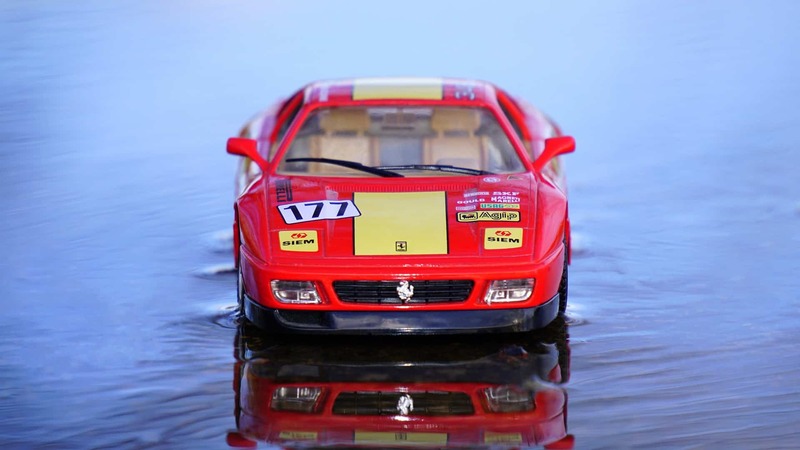 Amphibious cars have made their mark across history, and you may not even know! Amphibious vehicles have the ability to drive on land and function as a boat on water. They’ve been used for many different things like industrial use, military use, and personal use. The first few amphibious vehicles weren’t even intentional! In 1849, Gail Borden created a sail-powered wagon that ran on land and was watertight, but it tipped over 50 ft from the shore because of lack of ballast. An unintentional attempt at an amphibious vehicle was with logging companies. Logging companies relied on river flow to transport logs, but when the river flow was slow, there would be pile-ups. They created the Alligator tug, which was a steam-powered paddle boat that could haul itself out of the water and across a body of land to get to the next area of water. It was even used until the 1930s. The Amphibious Digger (Oruleter Amphibolos) was made by Oliver Evans in 1905, who was an inventor from Philadelphia. He made it for the city council who wanted to deepen Delaware River Dock area of the Schuylkill River. It weighed 17 tons, so they put wheels on it to get it from the shop to the river, making it the first amphibious vehicle, even if it only ran once. The first true, all-terrain vehicle that was made with the purpose of traveling on land and water, and successfully did so, was created by Peter Prell of New Jersey in 1931. Its sole purpose was to beat the traffic jam on the tube and ferry while he was commuting to New York. It went 25 mph on water and 40 mph on land. Amphibious vehicles really played a role in World War II. Both sides of the war wanted an easier and convenient way to transport troops and supplies both land and water. Germany created the Landwasserschlepper that functioned for them from 1936 to 1945. The British even produced the Terrapin in response to the US’s DUKWs because the US couldn’t produce enough fast. Before the US used the DUKWs, Ford had produced a special ¼-ton GPW Jeep (aka Seep) that was smaller, lighter, and less stable than the DUKWs, also called Ducks. Originally created just for combat, they excelled beyond that after the war. They’re used today as a tourist craft in marine environments. While the DUKWs were still being produced, people wanted to continue making amphibious cars that were more consumer friendly. In 1959, the first “civil” amphibious vehicle was introduced by Hans Trippel which he called the Eurocar. Later, it would be renamed the Amphicar, and under 500 were made between 1961-1966. In 1962, it crossed the English-channel. Even Lyndon B Johnson owned one! Surprisingly, the 21st Century is not as rich as the history was starting out. In 1996, Alan Gibbs started the concept for a new and improved Amphicar with the British car company Lotus. It was meant to have better engineering and to study its viability. It came out in 2012. In 2004, John Gilijam built an amphibious motor home that cost $1.2 million dollars. After that, he was employed by Cool Amphibious Manufacturing International which makes many of the amphibious vehicles you see today. What are Amphibious Vehicles Used For? The idea of amphibious vehicles first came about unintentionally. They were used for transport of items from land and on water. Eventually, they became useful to transport people and military supplies, and they became extremely important during World War II. Now, amphibious vehicles are more used for entertainment and tourist attractions. Places like Wisconsin Dells use amphibious vehicles to tour marine environments and make things exciting. People also use them for competitions like setting Guinness World Records. How Much Do Amphibious Vehicles Cost? WaterCar came out with the Panther back in 2013. This car looks like a Jeep CJ-8, has a fiberglass hull, retracting wheels, and a jet boat drive. They claimed to be the world’s fastest amphibious car which could do 80 mph on the road and 44 mph on the water. It has long-travel, off-road suspension. For a “Rolling chassis” it’s $76,000, $106,000 for a “Turn-key minus” version, and a whopping $135,000 for a complete Panther. The uncompleted models require less legal and regulatory requirements than the complete vehicles.